It’s a strange phenomenon; many of my fellow countrymen would complain ardently if a foreigner lived in their country and didn’t make an effort to learn the language, yet don’t seem to care two hoots about learning to speak Thai when living in Thailand. “It’s too hard”, “Can’t be bothered”, “Don’t need to – all my friends speak English, anyway”. I have heard many an excuse, and while I myself am not fluent in Thai, I do make an effort to put time aside to learn, and also to put my study into practice in everyday situations. If you plan on living in a country, plan on having a girlfriend from that country, and plan on being accepted by the people of that country, surely it is imperative that you learn the language to at least a basic level of understanding? So here's my tuppence! Based on personal experience, here's 6 reasons why I believe it is important you learn to speak and read Thai. Learning Thai helps you better understand the culture. For example, the way Thai people talk to each other, the colloquialisms they use, the way different objects are classified, and the way in which people are addressed. Through simple phrases you will start to understand basic aspects of the culture, like grengjai (being gracious), kwharm ben Thai (Thainess or Thai style), mai pen rai (never mind/it's ok/no problem), and even som nom na (serves you right). You will understand minor things that make a big difference, like the fact that it is okay to refer to another person’s child as your own (luuk), or other phases like lok son dua (being happy with your own company). The list goes on, and I’m sure you get the picture. The more you pick up the more you will understand Thai people, and easier you will find it to integrate into a community, enabling you to make Thai friends and understand local lingo. Recently I arrived in the UK with my partner for Christmas, and while she can speak an adequate amount of English to get by and converse with my friends and family, it has proven very useful for me to know enough Thai to be able to fill in the gaps when she doesn’t understand colloquialisms, and of course those English peeps who mumble out the side of their mouth at 100mph! Okay, so my Thai isn't perfect, but I can get across what I need to say and sort out any confusion. I think it is important in a Thai-foreigner relationship for both parties to try and learn each other’s language. The onus shouldn’t be left on the Thai partner to learn English without the foreign partner also participating in learning Thai. In my opinion, as a partner, out of respect and an interest in your partner’s culture, learning Thai should be a want rather than a chore. Miscommunication is often the cause of arguments, the cause of offence and sadly the cause of breaking up. Going the extra mile and learning the language can save a lot of stress and unhappiness. 3. Stop Yourself Getting Lost! I will never forget the time I headed up country on a road-trip with a friend in a hire car. Just follow the map we thought, easy peasy. It was 2 AM and were still trying to work out road signs without an English-speaking person in sight. Okay, the major towns were signposted in English, but off the beaten track was mission impossible. Point is, had I known the Thai alphabet, I could’ve gotten us around with relative ease. Moreover, if my Thai was better back then, I could’ve understood the directions given to us at the numerous petrol stations we tried for help. Living in a foreign country with a completely different alphabet can make life difficult in a number of situations, like reading ingredients on food packets or understanding shop opening times. Imagine if there is no male/female sign on a toilet; would you know how to differentiate male-female toilets in the Thai Alphabet? Do yourself a favour and take a day to learn the Thai Alphabet. You might want to check out this book I used which costs $19.99. I also have some fantastic language cards I use regularly as a refresher. Each one has the consonant or vowel with a phonetic translation. A friend bought them for me, so I will need to find out the source and get back to you on that. Thais and foreigners making friends…is this possible? I've seen some silly people saying “No!” On certain forums. But I say, “complete rubbish”! One of best friends is Thai, and we have been friends for 5 years now. And, shock horror, she is female! And no, we have never had anything romantic going on. Anyway. Many Thais have a basic grasp of English, and some speak English very well, so showing an interest in the language is a great way to establish a friendship. The old “you teach me Thai and I will teach you English” approach is common ground for a friendship to develop. I might get blasted for saying this, but generally, guys I meet are only experiencing talking to Thai people (women) in bars and Thai massage shops, rather than meeting people from a diverse range of backgrounds as you would back home. Contrary to popular belief, there are millions of Thais who would love to talk more with foreigners, with the possibility of being friends. Learning some Thai is a great way to open up this opportunity. While the West, Europe in particular, is on the decline, South East Asia is booming, and as such there are an increasing number of 20 and 30 something foreigners emigrating to Thailand, many of whom are seeking, or will seek, employment at some point. Learning to speak Thai will be a massive advantage in any profession because it means you can be called upon to speak with other staff or clients who speak little English. For example, as a teacher you will be able to speak with parents, and also better relate to your students. As a company employee you will be able to join in conversations between Thai staff. On more than a few occasions I've had conversations with foreigners who are convinced Thai people are constantly talking about them in their presence. If you're on a budget and can't be doing with school classes, I highly recommend ThaiPod101. It's free to register at a basic level, and totally worth joining. In the meantime, why not crack on with my free video lessons. Click here to start lesson 1. One of the biggest omissions of thought, or incorrectly made assumptions is that if you learn to speak Thai, then naturally, you will equally understand it when you hear Thaimpeople speaking the language to you. Not the case! I can speak reasonable Thai, well enough to have simple conversation about most things. But I can only speak it. As soon as I hear a Thai person respond, it's like I am listening to a completely different language to the one I have been learning. Not a clue! Apart from two word phrases a baby would comprehend. It's as much a collection of incoherent sounds as it was before I spent approx 1300 hours learning how to speak the language. All websites talk about learning to speak Thai with an unwritten inference that you will therefore be able to understand it . GO HOAK ! There is truth in this, and that's why it's essential that Thai learnt in the classroom or through a program is practiced with native Thai speakers in the real world. I remember in my old Thai school, there were people in the class above me that found it so difficult to understand and be understood outside of school, but I had the advantage of lots of real world immersion from my Thai friends and my GF. Yes, of course you are right, but I cannot help but think that understanding spoken Thai is very difficult by comparison with many other languages. I recall as a child learning some German from my mother. Hearing it spoken I instantly recognised it, after having learned how to speak the words. Many Thai people themselves have told me that for them, learning English is quite easy. The program at AUA recognises that the first step to learning a language is listening. That is what you do as a child, you listen for the first 2 years of your life and then start talking. If you learn to speak right away, you don't develop the ability to hear the tones of the language and you will always struggle. It takes longer to spend the first 6-8 months only listening but in the long run, you will be far more fluent. Be careful about learning official Thai. They won't tell you that the word for "yes" is "Uh" like a grunt. You will never understand that "Hetweeak" means work, or that "E- Ang" means "what". I could not see an official class teaching you "Taa - Lop- Taa - Lie" meaning to reprimand someone by slapping them back and forth across the face, usually meant in a jovial manner, or " Ya crew bie mot" - " You want to know about everything", or "Jow bung Khoi baw?" - "You look at me?" . "Baw pen Yang" I doubt there is a Thai national anywhere who does not recognise this as being " fine, no problem" and you will be there, scratching your head thinking " I thought that was Mie Pen Rie?" Some people advise that you should not learn Thai from Bar girls, but rather from official classes. Do official classes actually teach you how real Thai people speak? This is why I always advise people that learning Thai needs to accompanied by lots of real-world immersion. The more you can have everyday conversations with Thai people the more colloquial Thai you will learn. It's the same with any country; a language school teaches you how to speak the language properly, not the slang or regional differences you may encounter. That said, if you study central Thai, you can use this all over Thailand and be understood. "Bor bpen yang" is a phrase from Laos, which is also used in the North Eastern provinces as part of the Isaan dialect. I think people are right when they say that you shouldn't learn Thai from bargirls, for the most part because few of them will have finished high school and their central Thai is poorly spoken. Most will make common errors when writing Thai too due to a limited education. Most are from either the Isaan region or the North of Thailand, with the exception of the Southern islands where you also get Southern working girls. So you'll find many bargirls speak with a distinct Isaan accent and speak passa Isaan together. When they speak central Thai their pronunciation of tones is often wrong and reflects the way they speak in their provinces. Hey there, Thank you for this amazing article. I'm thinking of moving to Thailand in three years and after reading this post, I am certain that I'm going to learn Thai now. apologies for commenting on such an old post but... are there any language exchange sites that you would specifically recommend? i'm interested in the idea and i've found a few that might be worth trying, but most of what i've seen seems like thinly veiled dating websites for finding thai women (which isn't at all what i'm seeking). i'm interested in learning and socializing, but not romance. I could not imagine living here without at least making an effort, I was in school within a week and then went on the road for 3 months where i had to communicate in Thai.Today I'm fluent with all the most basic things one encounters, I cant have a normal conversation though.. hopefully this will come in time. I agree Neale, pointless adventure without at least coming back with some command of the language. 7 (ok, I guess it's a variation of #2! )If you learn Thai, you'll have a better understanding of the mistakes Thais make when speaking English and you'll have more empathy with them when they're trying to learn. This will also help you to help them when they learn English.6. In my experience, Thais talk about food and money most of the time! And gossip. I guess that's not much different from the UK, apart from the weather talk. Mind you, the lack of weather talk from Thais could be because the weather is essentially the same every day. This is my first comment - I've read most of your blog entries and I've learned a lot. I plan on moving to Thailand within 8 to 12 months. My first intention was to live in Bangkok, and eventually I believe I will spend a considerable amount of time there. But for the first year, I will almost certainly be in Chiang Mai (My first stop will probably be Penny's Plance / thanks for the heads-up.) 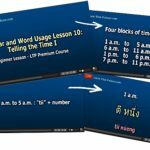 I currently have begun studying Thai via Thaipod101.com (2-year Premium Subscription), and also with an actual Native Thai speaker who holds classes out of a Buddist Temple here in Los Angeles (where I live). I also am studying Mandarin. I intend to obtain an Education Visa by enrolling in an accredited Thai Language School which, hopefully, will provide for a 1 year stay in-country, with an second year extension. This should bring me close to fluency in the language - - anyway, I really enjoy your writing and perspective. Keep it up and have a great Christmas in London! That's great news Brian, your study will definitely pave the way for a great experience. There is a language school in Bangkok called Language Express that does a reasonably priced year visa, but you will also find some in Chiang Mai too if you plan on staying there. Pennys Place is comfortable and the owners are lovely, you will enjoy it there. Welcome on board, hope to hear from you again soon. In the beginning I studied of course to learn the basics but I was not the best classroom student. To learn anything one needs “purposeful” practice and repetition. For me that meant real life interaction with Thais of different backgrounds. I practiced a lot at night as well and was sometimes caught out by the curfew and had to wait until morning before I could return home.I read poorly but well enough to check what my wife is saying about me on Facebook. Other than the occasional script for a JSL production long ago, I never read anything but menus and road signs. Pronunciation is probably my forte.I understand that it is difficult for a new teacher to break into an already saturated and long established market but I am not a fan of the marketing gimmicks of some. 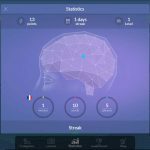 I don’t believe there is a magic bullet when it comes to learning a language. It takes effort unless you are especially gifted.When attempting to rewire your brain “purposeful” is the operative word when practicing something, just as it is with physical activities. As I have rediscovered my own language these last few years my Thai has suffered. We find these days the most efficient means of communication in our home is for me to speak English and my wife to speak Thai. Somehow it works for us. While I agree that reading road signs can be helpful, signage in remote areas is not great so one needs to know enough Thai to know what to ask, how to ask it, and most importantly who to ask. If your Thai is good you can tell if someone has a clue or not and whether you should look for directions from someone else.Thais often use a different referencing system from ours which includes landmarks we are perhaps not familiar with. Forget about map references or road numbers. Often on a remote dirt track or in a village, when I ask for directions, they will tell me to go back the way I came. I laugh, explain that is not the answer I am looking for and tell them what I am doing. I may get contradictory guidance but it is not too hard to figure out who knows what they are talking about.Clearly Thailand is a very different place if you speak Thai. VF- did you study Thai or did you pick it up naturally the longer you stayed? I wholeheartedly agree with what you say here - it had never occurred to me what you said about a lot of Thais being interested in language exchange, I think I'll try that out.. I'd be interested in if anyone has information on how hard Thai is to learn compared to the other languages in South East Asia i.e. Indonesian, Filipino, Malay, Khemer... I'll be traveling down to the region soon armed with a bunch of pimsler MP3s, wondering which language to put the most effort into.. Some very valid points there, it's a no brainer really. I've been married to a Thai for 10 years here in Australia. I'm ashamed to say I have not learnt much Thai in that time, just the basic expressions. I expect if I was living in Thailand it would be a different story. I hope to improve my ability to speak the language if my wife & I find ourselves living in Thailand sometime in the future. its so good esp if you are interested to go there. or even date girls there. Being a product of a likewise "developing" country, I know well why your countrymen won't try learning the language. One big word that bites: ethnocentrism. Yes, because most foreigners coming to Thailand are raised from a Eurocentric stand point. For those who aren't familiar with the term ethnocentrism, I did a little Google for an accurate definition "Ethnocentrism is making value judgments about another culture from perspectives of one's own cultural system. The ethnocentric individual will judge other groups relative to his or her own particular ethnic group or culture, especially with concern to language, behavior, customs, and religion. These ethnic distinctions and sub-divisions serve to define each ethnicity's unique cultural identity." For sure, knowing Thai is a significant advantage for talking to women. I am sure not all Thai people are terrible with directions, but then I am not the best either! I always say the the best reason to learn Thai is for the chicks! But knowing Thai isn't going to help you from getting lost, Thai people are terrible with directions even when you speak fluently like I do. That's of course why you need to read Thai, you can't rely on the Thai's to tell you where anything is. I bicycled over 5,000 km in Thailand and can verify the people are terrible with directions. Of course, that is not unique to Thailand. I can't count how many times people told me the wrong directions, all over the world. I will never cease to be amazed how little people know about their surroundings. I've experienced that Fred, not cycling but being way out in the country in a car lost at 1am trying to find my way back to the hotel. I was sent around 40 minutes in the wrong direction! Funny thing is that if a Thai person such as a motorbike taxi driver standing on the street shouted over at you the question "where you go?" And you replied "I go to the moon" the further response would most likely be "OK, up to you, you want to go, you go". If you asked someone "You thing tommorrow it rain?" The response might be " Yea, I think tommorrow rain. Twenty Baht!"